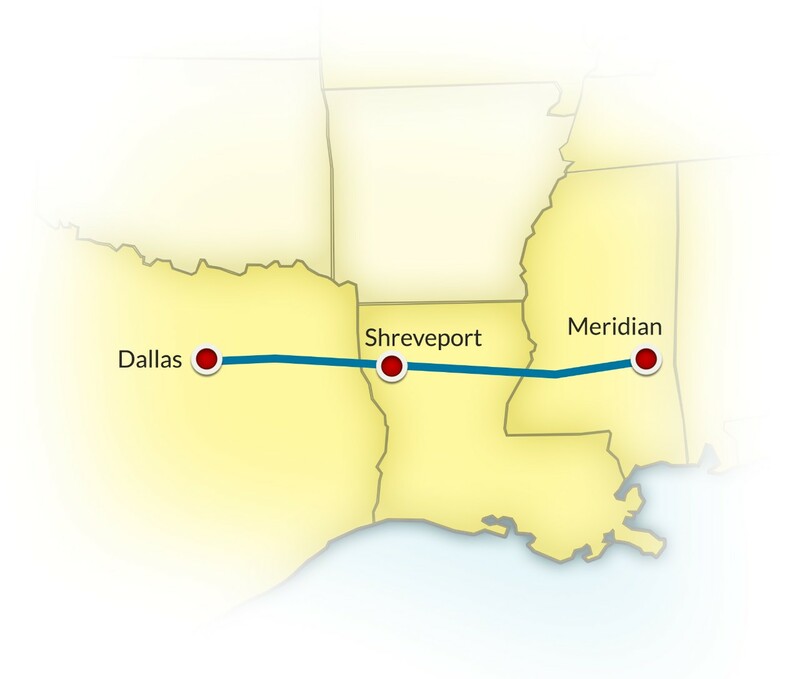 The Crescent Corridor is more than a $2.5 billion rail infrastructure project that spans 11 states. It is a symbol of prosperity and innovation. Providing one of the fastest, most direct routes from the Southeast to the Northeast with convenient connections to Mexico and Los Angeles, the Crescent Corridor is creating jobs and making green shipping a reality. 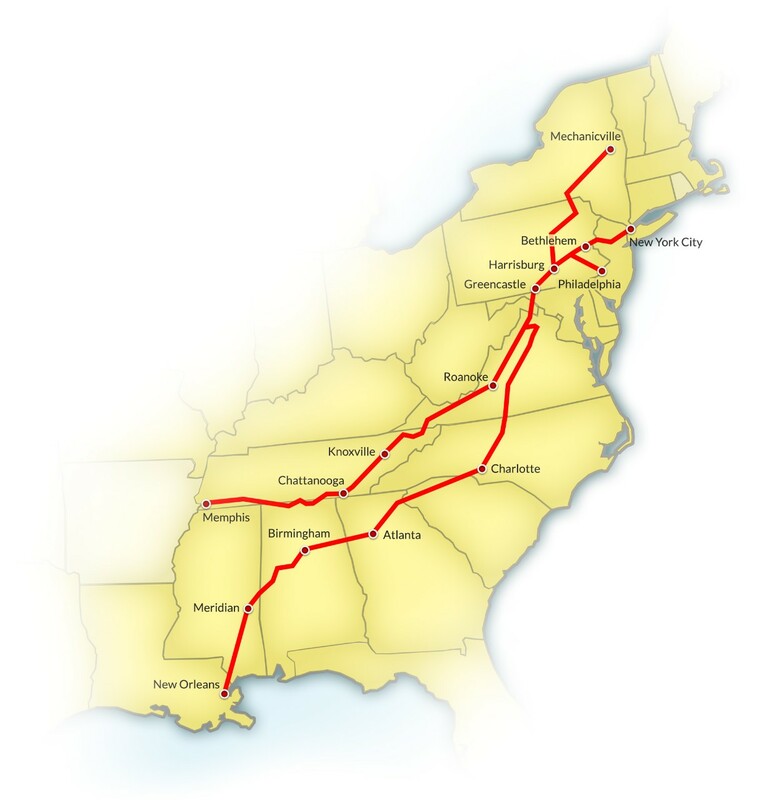 With 30 new lanes now open connecting to the 2,500-mile Crescent Corridor, Norfolk Southern's high-capacity intermodal routes are truck competitive, fuel efficient, and dependable. Create new terminal facilities in Birmingham, Ala., Memphis, Tenn., Charlotte, N.C., and Greencastle, Pa. The Heartland Corridor is a $290 million public-private partnership that offers efficient routing between the Port of Virginia and the Midwest. In a major engineering feat, clearances were raised in 29 tunnels to make way for double-stacked intermodal trains. Together with new sidings, added terminal track capacity, and proposed access to new markets at Roanoke, Va., and Pritchard, W.Va., the Heartland Corridor increases freight capacity, removes trucks from congested highways, saves transit time for customers, and reduces greenhouse gas emissions.